Longtime defense attorney Mickey Haller is recruited to change stripes and prosecute the high-profile retrial of a brutal child murder. After 24 years in prison, convicted killer Jason Jessup has been exonerated by new DNA evidence. 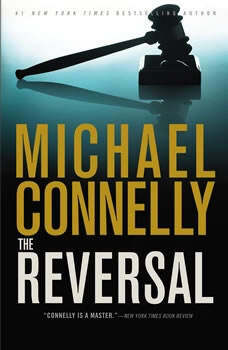 Haller is convinced Jessup is guilty, and he takes the case on the condition that he gets to choose his investigator, LAPD Detective Harry Bosch.Together, Bosch and Haller set off on a case fraught with political and personal danger. Opposing them is Jessup, now out on bail, a defense attorney who excels at manipulating the media, and a runaway eyewitness reluctant to testify after so many years.With the odds and the evidence against them, Bosch and Haller must nail a sadistic killer once and for all. If Bosch is sure of anything, it is that Jason Jessup plans to kill again.